Good job so far, you are half way done! Now that you have the header, primary navigation and secondary navigation menus configured on your website, it is time to learn how to configure the “meat and potatoes” of your website. 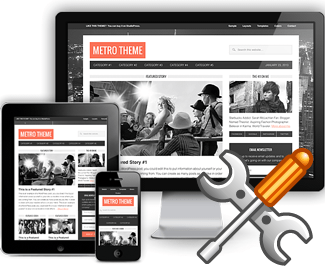 In this video, Part 2 of configuring the Metro Child Theme from Studiopress, you will learn the rest of the steps to make your website shine. WordPress never looked this good before! Place the Search option in the header of your website using the “Header – Right” widget area. Configure the “Home – Top” section which is the first content your visitors will see when they visit your homepage. Configure the “Genesis – Featured Posts” widget for “Home – Top” to appear like the demo. Configure the “Home – Middle Left” section of the homepage. Configure the “Home – Middle Right” section of the homepage. Configure the “Home – Bottom” section of the homepage. Configure the “Primary Sidebar” section that appears on all pages. Setup the Email Newsletter using the “eNews Extended” plugin. Configure the Recent Posts section of the Primary Sidebar. Setup the Latest Tweets widget using the “Genesis Latest Tweets” plugin. To learn more about the eNews Extended plugin used in the demo along with further instructions, setup information, and support, be sure to check out Brandon Kraft’s website. To learn more about the Genesis Latest Tweets plugin used in the demo along with further instructions, setup information, and support, be sure to check out the support section on WordPress.org for this plugin. The Twitter API returned an error while processing your request. Please try again. All I had to do to fix it was wait. After a few minutes, the plugin began to work without issue. I’m not sure exactly why this error appears, but waiting seems to have fixed it for me. Want me to configure your theme like the demo for you? Check out the Lifetime access plan for $97 that includes this service. The service is provided first come / first serve. Unless I have a backlog, your site should be setup within 72 hours. Any backlog will be shown in the backend when you submit your request for this service. Thanks for the demo, i’m setting up METRO for a client so your video really helps. I notice that your drop down menu is on top of the YouTube video and is making it difficult to reach the “top Genesis Themes” menu item. I had the same problem with one of my sites and tried changing the z-order of the menu but that didn’t work. The solution came from some other website that suggested I try adding “wmode=”transparent” as a parameter to the YouTube embed code and it works like a charm. Hey Tim, thanks for the thank you note. I just checked on all browsers and it appears that the menu problem only effects Internet Explorer (of course!). I noticed in Firefox, Opera, and Chrome the issue isn’t there. What browser are you using? I’ll probably update the site with wmode soon regardless. Thanks for the tip! No I’m using Chrome and I still see the menu disapearing behind your video. This code for your youtube embed. I have a before-after for you so the changes stand out. This is an excellent video tutorial. I don’t think you could have explained it any easier. Great job and keep up the good work. If you are ever interested in sharing your WordPress expertise on my site, I would love to have you. i really appreciate these videos….I’m new but hooked on WordPress and sold on Genesis framework and am watching all the videos I can find. Yours was the first that really made it sink in regarding parent/child themes. And, how it’s really widget-centric. Your focusing on where the widgets are on the demo and what they’re called was perfect since they’re all in a list on the admin screen — is confusing. If you have more Genesis videos please let me know!